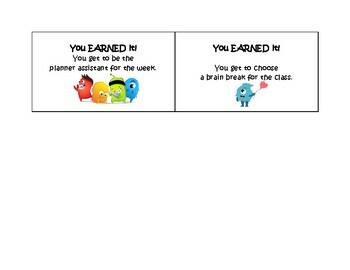 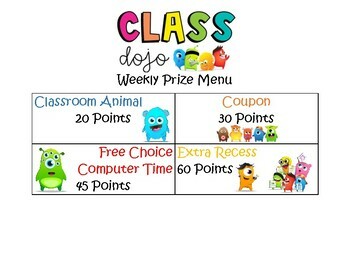 Organize and motivate your students with Class Dojo using the Weekly Prize Menu. 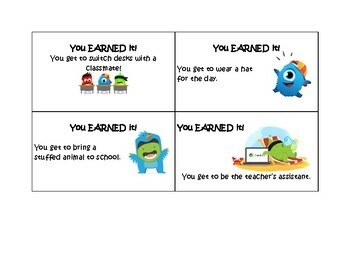 All prizes students can earn do not cost the teacher money! 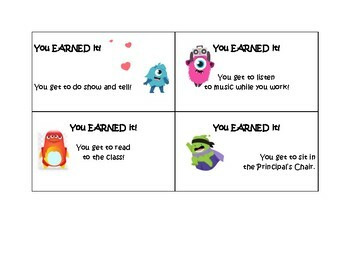 The product includes a prize poster and ten colorful and fun coupons, just print and cut.